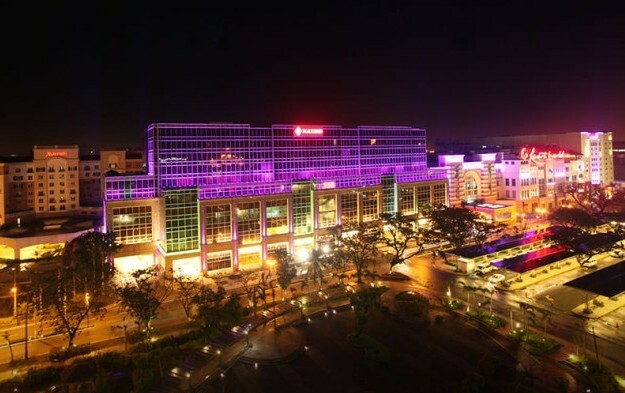 The operator of the Resorts World Manila casino resort (pictured) in the Philippines says it has “voluntarily” suspended operations in all facilities affected by Friday’s deadly attack that killed 37 plus the armed assailant. The suspension is pending the outcome of official investigations. The firm – a venture between local conglomerate Alliance Global Group Inc and casino cruise ship specialist Genting Hong Kong Ltd – said it has also postponed its annual stockholder meeting – originally scheduled for June 9 – “out of deference and sympathy to the families of the deceased and the injured from the tragic June 2 incident”. “The board of directors also deemed it insensitive to discuss financials and expansion plans as if it is business as usual,” added the filing. Most of the victims – staff and guests at the property – reportedly suffocated in the area of the main gaming floor after the assailant set fires on several gaming tables. On Sunday it emerged that the perpetrator was a problem gambler called Jessie Javier Carlos, a Filipino who had reportedly been dismissed previously from a job with the country’s Department of Finance for financial irregularities. The Philippine Amusement and Gaming Corp (Pagcor), the country’s gaming regulator, meanwhile said it would assess how casino resorts respond to disasters, including fires and earthquakes, reported local media. “We are looking into their [Resorts World Manila’s] security measures [to see] if there was any leniency or if it was lax, and how they managed the fire situation,” Pagcor head Andrea Domingo was quoted as saying by the Philippine Daily Inquirer newspaper. The Philippines’ tourism assistant secretary Ricky Alegre also told local reporters on Monday that his bureau is working with Pagcor and other government agencies to ensure that there could be no repeat of the sort of event that occurred at Resorts World Manila. “We are working with other agencies to review our accreditation of all tourism-related facilities to make sure that they have a stricter adherence to security… The level of security is what the review might centre on,” Mr Alegre reportedly said. Macau is to strengthen security at its casino resorts following the attack, the Macau government said in a statement on Sunday.